When I was thinking about purchase of Ronin-S, I was worried about, how it will perform with my Canon 5d mark III running Magic Lantern. I've found in the manual, that Ronin was tested with 1.3.5 Canon firmware, but I'm still on 1.1.3 (because of ML). To test follow focus features, I've decided to buy a simple Micro-to-Mini USB adapter (~ $1) and use it with included original MCC-to-MicroUSB cable. As soon as camera booted, we see the continuous green LED light. When we reach the limit of a focus distance, we're getting the message on a screen. The soft limits are on both sides. After message is gone, the screen "reloads" the image, and we can see a focusing window for a second. The lens' auto focus works not as usual. It makes loud clicks for each step. It doesn't focus on a half press :/ (update: it works, I added info at the end of this message). I've waited for a few minutes, but nothing changes. So, to Start recording we need to press 3 times. With short delays between them. Most of the times, it started recording after 3 pushes of the button. But in some circumstances, it could start recording after the first push. Small update: Auto focus actually WORKS on a half press. I forgot, that I use a back AF-ON button on my camera, and it is disabled on the main trigger button. So, the only problem with ML is Start recording on a 3-rd press. Without ML a recording starts as it supposed. So, I hope I can confirm, that Ronin S works with Canon 5d mark III without ML, on an old firmware 1.1.3 with Micro-to-Mini USB adapter. 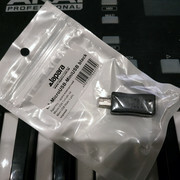 So, who wants, can actually buy a dedicated original cable MCC-MiniUSB. Awesome gonna give it a go on my Ronin-S. I love 14bit Lossless so much that I can’t imagine using Magic Lantern without it… It makes things so light and simple. Anyone have an idea of how I can fix this bug?… One way to achieve this is to unplug the mCC-miniUSB cable, but that’s a pitty because the focus wheel doesn’t work anymore…. I'm out of town for a few days, and I don't have access to my setup right now. As I can see, we have different Canon firmware 1.1.3 vs 1.2.3, Ronin S firmware 1.7.0.60 vs 1.6.0.50. And as long as we don't now, what ML settings do you use - there're a lot of variations. I did try 14bit lossless with 1920px, 2.35:1, with proxy enabled (if I remember correctly). In this scenario, I didn't have error messages. I'm not a ML developer, just a user. But as soon as get a chance, I'll try to check with different settings. Unfortunatly I'm facing this bug even if I use 1.1.3 canon firmare like you. I also try different ratios (16/9 or 2.35): same bug. with or without sound: same bug. with or without crop mode module: same bug. Did you have time checking if you face the same ML-bug as me when recording 14bit lossless Raw with your 5D Mark III remoted by your Ronin-S, through the miniUSB cable? I didn't have enough time to check different settings (as there're a lot of variations), that's why I didn't answered in the topic yet. But I did check it with my current settings and I don't have any errors. So, it behaves exactly as in my video. Mostly ok, but with a Start Recording lag/bug. I have to push Start button on Ronin several times to start recording. I don't think that the cable can be a reason of this error, as it is the same, only a different connector. The wires are the same, and there is no any electronics in these cables to give any reason for error. If you need to find a solution ASAP - please send me all your settings and i'll try it on my setup. You can record a video of your ML menus and the steps how to get this error. It would be easier for me to replicate it. p.s. I will check it on my 1.1.3 Canon firmware. I've checked your settings and to be short - YES, I also have this ERROR! I need to check more with different settings to find out the consistent pattern of this bug to report for developers. I've also found out, that my Start Recording lag appears only when Proxy is enabled. 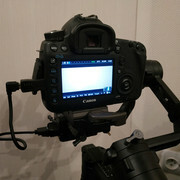 As you said in PM, if you have the same problem with connecting 5D to laptop with a USB cable for a remote with the CANON UTILITY app - this is definitely a ML bug, not a Ronin. It's good, because theoretically we can try to get help here. Otherwise, DJI doesn't care about ML. edit. You can use Start/Stop button on 5d3 without error, while using follow focus of Ronin with it's cable. Yesterday at night I've got an Error, but voke up in the morning, didn't change any settings and the Error disappeared. For 6 minutes of video, I couldn't get an error. So, it actually can work. Later I've managed to get an error, but I didn't change Canon or ML settings. I was only changing Exposure, WB etc. Starting/stopping recording. The reason of an Error is not obvious for me yet. The bug appears when the camera is "remoted" through the miniUSB cable. I suspect a problem with the "Rec Trigger" fonction on mlv-lite, but it's my intuition, I can't prove it. I don't get this error often. Most of the time it works ok (when cable is inserted). - Turn off Ronin (only control section, no need to reboot battery). If I turn the camera on in Video Live view mode after error - the error most of the times is still there. As I was facing the bug almost EACH time I was recording, I chose to try your method of switching from PHOTO to VIDEO mode when rebooting the camera (method which is much more convenient than mine which consisted in taking the battery off and on). I noticed a difference in the behaviour of the camera and the bug was more rare. When you switch on your camera, be sure you are in the PHOTO mode, and when the boot of the camera and Magic Lantern are finished, now you can switch to the VIDEO mode, and shoot 14bit Lossless as long as you can. This has to be tested more than I did. Tell me what you think about this trick. In this case, I have the feeling that the bug comes back only when I’m too fast for start recording, just after a clip is finished. PS: by the way, I noticed also that what is reliable is to « double tap » the RoninS REC button to start recording. Same thing to stop recording. I noticed also that what is reliable is to « double tap » the RoninS REC button to start recording. Same thing to stop recording. Yes, double tap for Start/Stop. Three taps for Start (if proxy enabled), and one tap to Stop (if proxy enabled).